Cornhusker Bank congratulates the members of its mortgage team recently recognized by the Nebraska Mortgage Association (NMA) as members of the 2015 Champions Circle. Mortgage Loan Originators, Mike Barrett, Andrew Essay, Matt Gutschenritter and Luke Mitchell were recognized at the NMA luncheon in Omaha on Sept. 17th. According to the NMA, the recognition celebrates and honors the dedication and hard work leading mortgage professionals put into serving their clients during the home loan process. Benchmarks for being recognized include origination of either 100 loans or $12 Million in volume in the previous 12 month period. 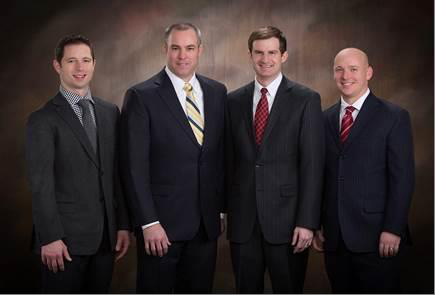 All four of the mortgage originators from Cornhusker Bank exceeded both benchmarks. We’ve all dreamed of building a home—well, having someone else build it for most of us, that is!—and currently in Lincoln there are really great options available in newly developing neighborhoods all across town. Building a home is a chance to customize everything, from the floor plan that suits you best to the materials and color palettes you prefer all the way down to where the outlets are placed in the bathroom (it’s important!) and the accent hardware. Choosing the right professionals will ensure that at the end of the journey, you are living in the new home of your dreams!